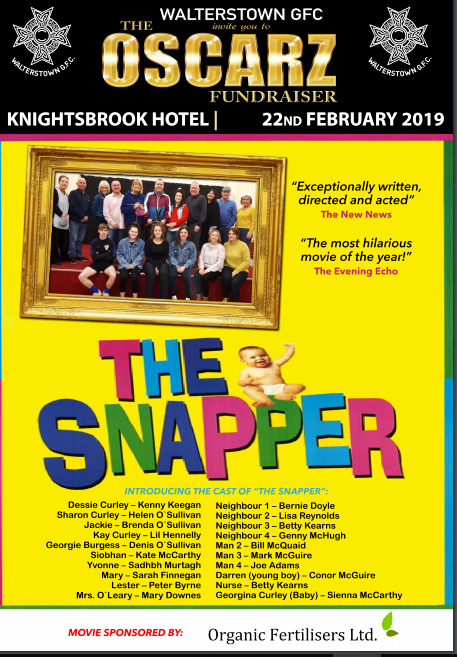 Over a 4/5 Week Period, before Filming, a Drama Coach will run a Casting Night and then teach our Contestants Acting, their Roles, and all the basics required to make them into Movie Stars. On the auditions night photos will be taken , those auditioning must dress accordingly. Club membership is not required but you must live or work in the parish. In the event of over-subscription Walterstown GFC reserves the right to select the Actors and Actresses. At this Night our wannabe Actors and Actresses will be accessed and assigned their Movies and Roles. A Professional Drama Coach will ensure that there is a suitable role for all. Once the Casting Night has taken place, an Event & Media Launch Night can take place. 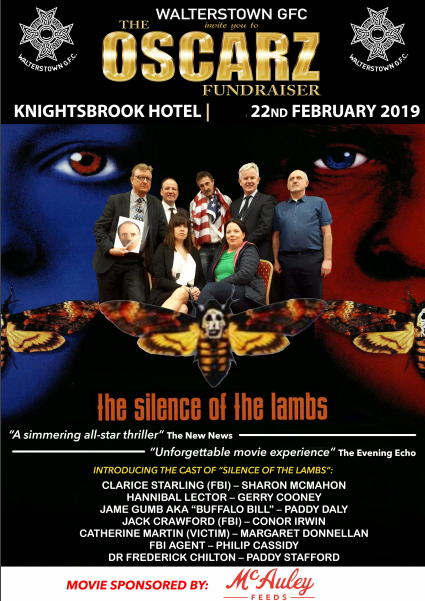 In attendance on the night will be all the Contestants and we will then announced which Movie/Film they will be appearing in and the part they have been assigned. Drama Coaching: One date in December, then January. Once the Launch Night is complete and everyone knows their parts, it is time to practice, practice, and practice. A Drama Coach will be with your groups for 4 weeks in advance of The Film Shoot to ensure everyone is ready for the Shoot Day. The Movies will be made in various locations in the community, adding a real local spin to the event. 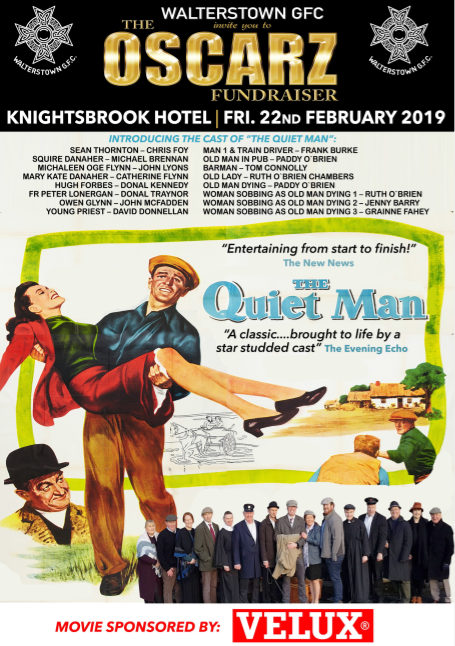 Usually the 7 Movies will be filmed over 2 consecutive weekends after the 4 week period of Drama Coaching and Auditions. Once all the Movies are Filmed and Edited it’s time to roll out the Red Carpet and have your very own Night at the Oscarz Award Ceremony. A Production Team will create an Oscars Award Ceremony using Professional Drapes, AV, Stage, PA, and Lighting, plus Red Carpet, Red Ropes and Stanchions, Giant Oscars Statues, with Photo Shoots and Live Interviews on the Red Carpet with Contestants on both. 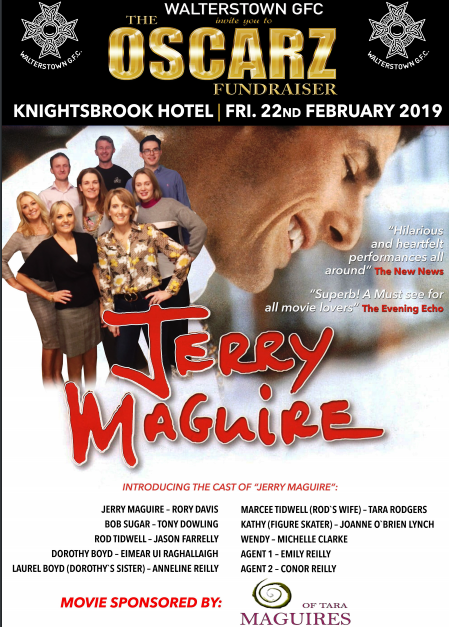 This will take place in the Knightsbrook Hotel in Trim on Friday 22 of February. Like any Oscars Ceremony their will be Awards for the Best Movie, Highest Grossing Movie (i.e. 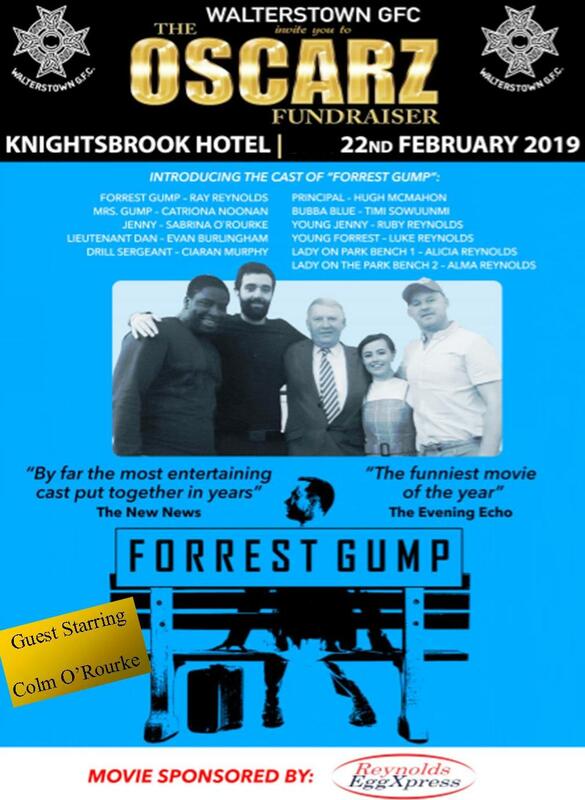 Most Raised for your Club), Best Actor, Best Actress, Best Supporting Actor, Best Supporting Actress, plus many more including Best Individual Fundraiser. 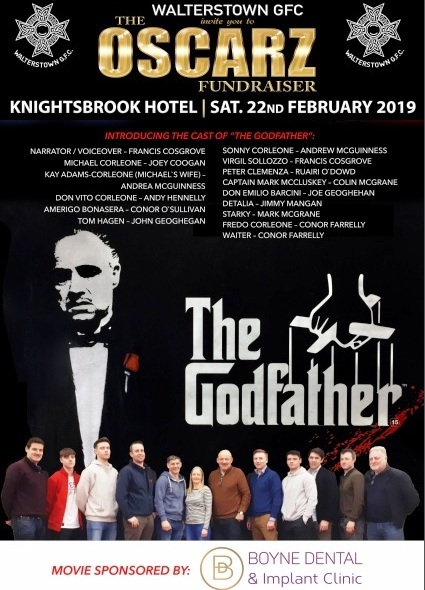 Unlike other fundraising events the participants can relax on the night, knowing all their hard work is done before hand. There always has to be an after party……. 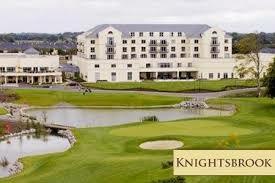 - Fostering and nurturing a love of sports and exercise, in a fun environment with a focus on Gaelic Games. - Encouraging the value of team sports and the importance of exercise in their daily lives for Health and Well Being. - Improving overall physical literacy within the school children including Agility Balance and Coordination for continued development. - Developing sports specific skills. - Setting a foundation for continued participation in sport and exercise while including Cross Curricular Themes. 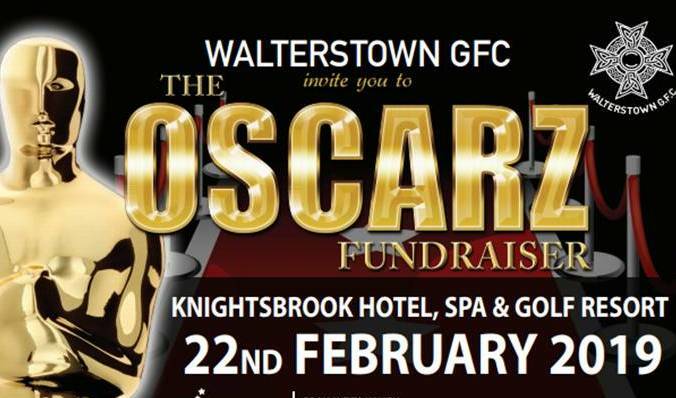 - To promote the beginning of a lifetime involvement within Walterstown G.F.C. Johnstown/Walterstown now has over 1300 children in primary schools in the parish. We see the growth in numbers as a great opportunity to play a key role in their ongoing development. This long term undertaking and is not without cost and Walterstown G.F.C. 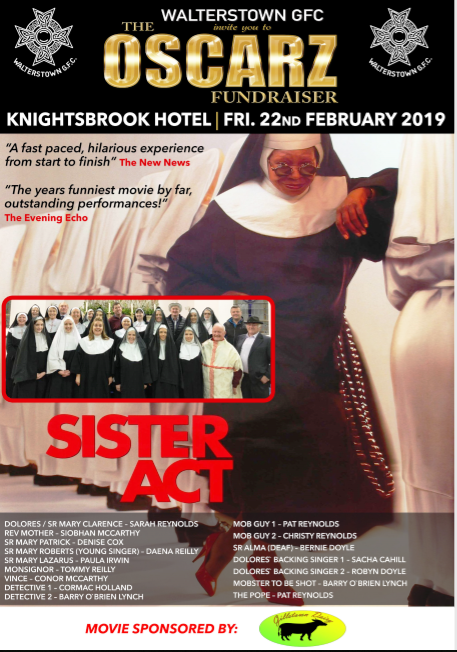 is hosting an OSCARZ night on Friday 22nd February 2019 in Knightsbrook Hotel & Spa in Trim. The club is looking for 60 budding actors from the community to show off their acting skills, walk the red carpet and compete for an Oscar.